Please use the contact form to email us. This is the fastest and most efficient way to obtain more information or to book a lesson. All emails are answered within 24 hours. 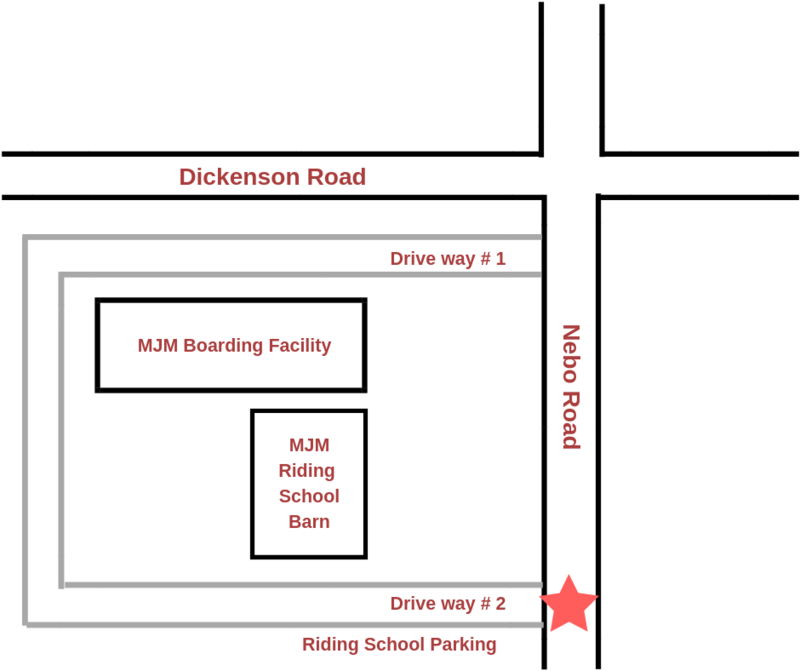 All riding school students please enter using Drive Way #2 in the map below. There is a sign at the facility marked MJM Riding School.